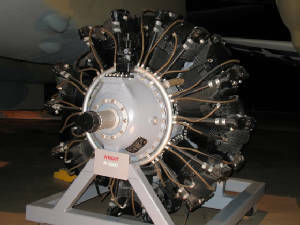 The Wright R-2600 Cyclone 14 (also called Twin Cyclone) was an American radial engine developed by Curtiss-Wright and widely used in aircraft in the 1930s and 1940s. In 1935, Curtiss-Wright began work on a more powerful version of their successful R-1820 Cyclone 9. The result was the R-2600 Twin Cyclone, with 14 cylinders arranged in two rows. The 1,600hp R-2600-3 was originally intended for the C-46 Commando and was fitted to the CW-20A prototype, but a running change led to the adoption of the 2,000hp Pratt & Whitney R-2800 in its place. 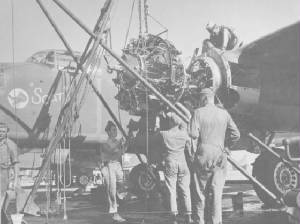 The Twin Cyclone engine went on to power several key World War II production aircraft including the A-20 Havoc, B-25 Mitchell, TBF Avenger and SB2C Helldiver bombers, and the PBM Mariner flying boat. Over 50,000 R-2600s were built at plants in Caldwell, New Jersey, and Cincinnati, Ohio.